1118b, Hubcap CENTER USED, 86-90, BUICK, CENTURY. CHROME OUTER RING WITH BLACK CENTER & FULL COLOR LOGO. 3 PLASTIC CLIPS. 3-1/4" DIA. 1136, Hubcap used, 14", 92-93, BUICK, SKYLARK, PAINTED SILVER, 5 SLOT TYPE, WITH LOGO IN CENTER OF CAP, PLASTIC CLIPS & WIRE RING. 1317d, CENTER CAP USED, 83-94, CHEVY, BLAZER, S10/JIMMY, S-10, S15, SONOMA. BLACK PLASTIC, CHROME OUTLINED GOLD BOWTIE, 5 FAKE LUG NUTS, 6" DIA. 1317d, CENTER CAP USED,83-94, CHEVY, BLAZER, S10/JIMMY, S-10, S15, SONOMA. BLACK PLASTIC WITH CHROME OUTLINED GOLD BOWTIE, 5 FAKE LUG NUTS, 5 PLASTIC CLIPS, 6" DIA. 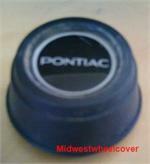 1336, CENTER CAP USED, 82-83, PONTIAC, 2000, BLACK PLASTIC CAP, CHROME WORD PONTIAC UNDER CLEAR PLASTIC, 4 PLASTIC CLIPS, 2-1/4" DIA. FOR A 13", RIM. 1453b, CENTER CAP USED, 82-84, CHEVY, PONTIAC, CAMARO, FIREBIRD, BLACK & SILVER CENTER, WORD CHEVROLET, PLASTIC CLIPS, SNAP ON, 4-1/4" DIA. 1455a CENTER CAP USED, 88-90, CHEVY, CAMARO, IROC-Z, BLACK PLASTIC CAP, WORD IROC-Z, PLASTIC CLIPS, 2-1/2" DIA. 1605b, CENTER CAP USED, 88-93, CHEVY, BERETTA, TAN, TAN BOWTIE, WHITE OUTLINE, PLASTIC CLIPS, 2-1/8" DIA. 1610, CENTER CAP USED, 88-90, CHEVY, CAMARO, BLACK PLASTIC CAP, BRUSHED BACKGROUND, IROC-Z IN BLACK, PLASTIC CLIPS, 2-5/16" DIA.